Oregon Public Broadcasting‘s lineage begins in 1922, when as part of a physics experiment at Oregon Agricultural College in Corvallis, KFDJ-AM radio began broadcasting. 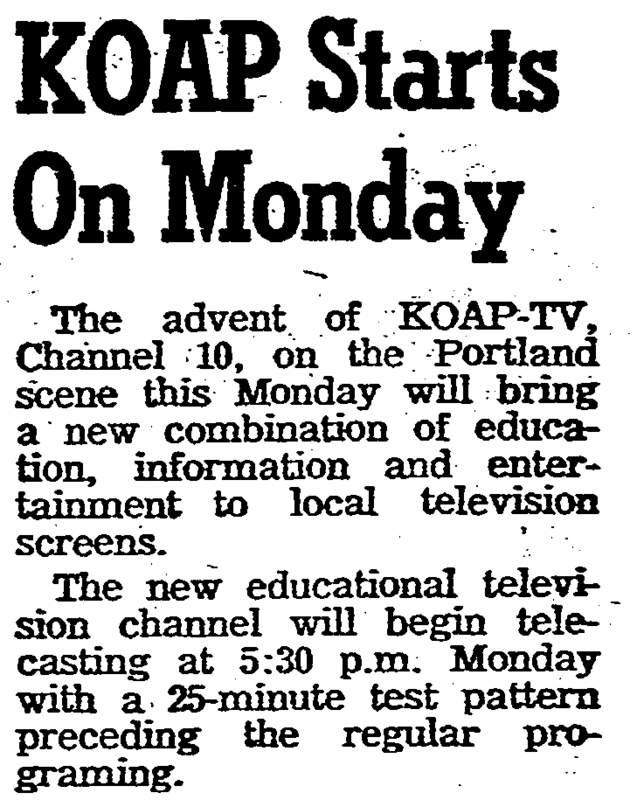 Eventually KFDJ became KOAC, which began television broadcasting in 1957, and the Portland flagship KOAP first broadcast television programming on February 6, 1961. KOAP broadcast from Portland State University with a transmitter at Council Crest. In 1989 KOAP became KOPB.